string(1321) "Resource Centre > Uncategorized > Exploitation and Resistance: A Comparative Analysis of the Chinese Cheap Labour Electronics and High-Value Added IT Sectors"
The article compares the electronics sector in the area of Shenzhen, based on cheap labour assembling goods for export, with the IT sector in the area of Shanghai, relying on a more skilled workforce manufacturing high value-added goods. 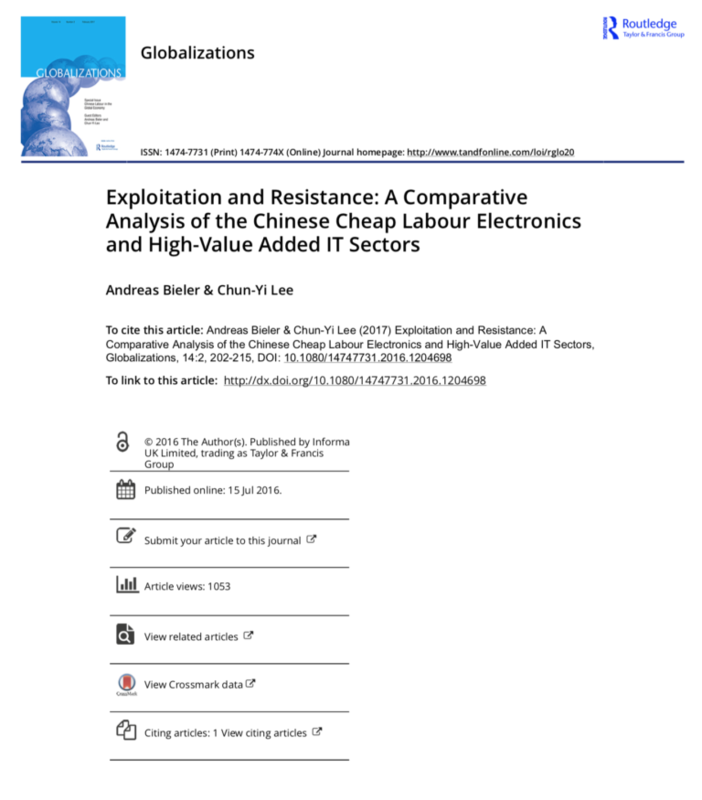 The article concludes that industrial relations are more confrontational in the electronics sector with informal labour NGOs supporting workers in getting their individual and collective rights. The IT sector, in contrast, is characterised by consensual relationships.